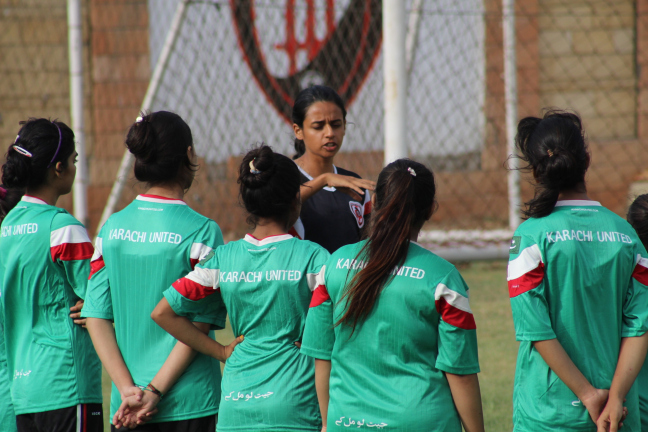 Khadija Kazmi is doing all she can to help women's football development in Pakistan through the club she created, Karachi United Football Foundation. The story of this 27 years old player, who will be playing at the next SAFF tournament for her country, is just incredible. Everywhere in the world, you have people doing everything they can to play and develop football. This can apply to Khadija Kazmi, from Pakistan. This young woman has practically always been playing football, but she did not stop there. "At 7th grade the boys started to play football. So I started to play with them. And around 10th grade, there was a hype about football, we really got into it. A Futsal tournament was happening, we got a team and did surprisingly well. Back then there was one women’s football club in Karachi and the lady who was running it saw us so she asked us if we wanted to play in her club." Passionate about football, Khadija simply wanted to have the chance to play. "The team was gathering for tournaments only, there was this annual championship, but no proper system, that was very frustrating. So with my mates we were talking about that, but we did not really know what to do. Starting something new?" And then, as so frequently happens, it was following a tragedy that the solution presented itself. "It was in 2010, there was the usual one-week national championship, in Islamabad. With two of my best friends we were planning to participate. One of us three was supposed to join us a day later. Except there was a plane crash on her way to Islamabad in which she died. After this event, me and my friend decided that was it: whatever we spoke about in the past, we would actually do it." What did that mean? Well, in practical terms, Khadija and her friend had to create a space for women’s football in their country. "We approached a men’s club in Karachi which was interested in starting a women’s division. The initial idea was to have a platform to play, but very quickly we realised we needed many more things, a competition, more means, so we started to build a system around it. It’s called Karachi United Football Foundation". On the ground, Khadija had to take care of everything: organizing competitions, playing them, taking care of Marketing, branding, coaching... You would think she had enough on her plate? That’s not knowing Khadija very well. "We started a community project in underprivileged areas where we provided football coaching. The goal was to use football as a tool for development. We understood we would have to change mindsets in the society and that it would take a long time. It started off from there. We became a recognised NGO". She admits, a few years later, that the whole project might have sounded a little crazy, and she still wonders how she managed. "We were barely 10 full-time people working on this, but we had a good network of coaches, about 60 maybe, on the payroll, especially from the communities. We would train the coaches who would then lead the program and we would just liaise with the head coaches and pay visits from time to time for monitoring." 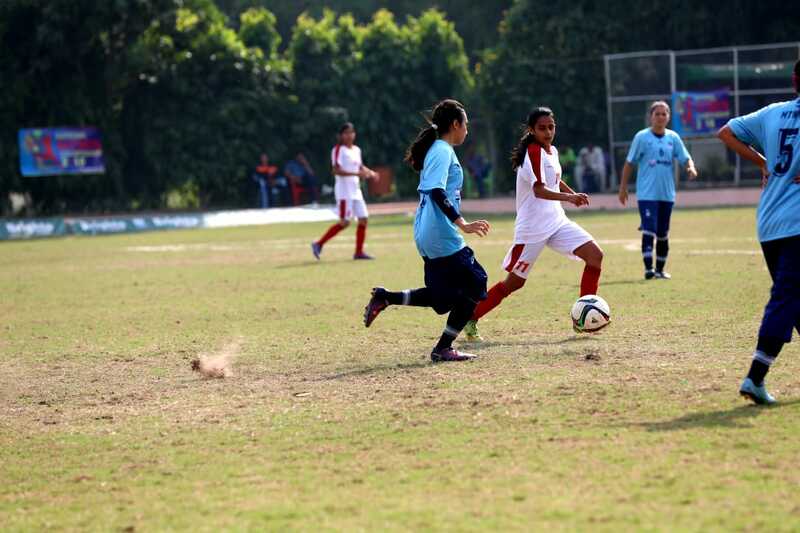 However not everything, indeed far from it, has yet worked perfectly to help women’s football to develop in Pakistan. The job is long and requires the help of many entities in the country, something of which Khadija is well aware. Just returned from Europe where she graduated from the FIFA Master, she understands the challenges that await. "FIFA is putting an emphasis on women’s football these days. If the Federation could put pressure on the clubs in order to have girl’s academies or women’s teams so that they get more incentives, then there will be a momentum", she says. Moreover, the mentalities need to change in Pakistan, and it does slowly. From her own experience, Khadija knows it is not going to be easy. "When I was at school, when it came to physical education, we could do whatever we wanted. And it always ended up with the boys playing some sport and the girls sitting in the shade. Even if we then commit to a sport like I did, it is still considered like a game, it is not something taken seriously as such, even less a job." So what is Khadija’s vision for her sport in Pakistan? "You need the excellence component with a real competition, in order that people can see there is a roadmap, a pyramidal system. But there is also a need to understand that not everyone is going to be part of this excellence, it is maybe only 1% of them, but by playing you still will learn something important which you will be able to use elsewhere. This is our credo at Karachi United." "It is very important to me because this is what I have experienced for myself: I did realise everything I have learnt in life came from football. How to deal with people, how to behave with different type of people, how to deal with discrimination, all of these things. That’s why we need to help children experience that." Quite a program... But before that, Khadija, who was named player of the last annual championship after helping her team to win it end of October, will hope to participate in the SAFF tournament with Pakistan from 19 to 26 December in Sri Lanka. And put the Pakistan women's team on top of the pyramid.